NANOTUN3D is also a well balanced consortium, with 7 out of 9 partners leading WPs, and the rest having relevant participation in the workplan. Most of the partners know each other from former projects in the last 3 years, which aims at a good coordination, too. 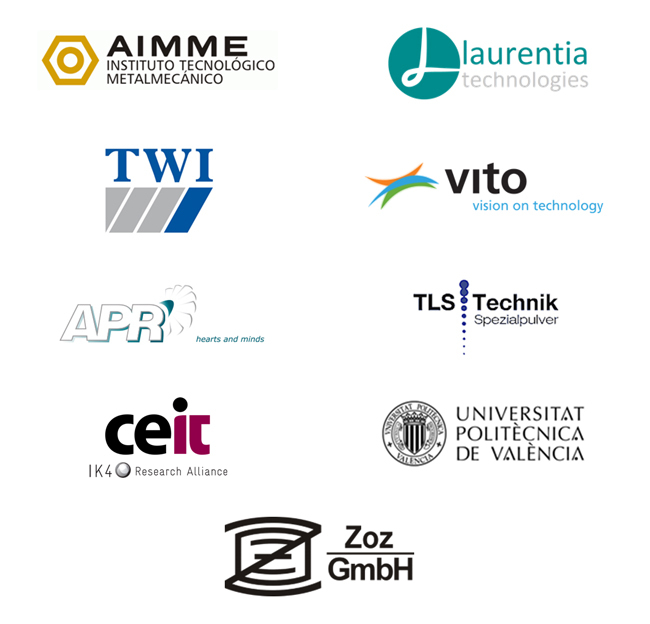 Technology complementarity and value chain coverage: The two topic disciplines (nanotechnology and AM) are represented in the consortium -respectively LAU, UPV, VITO, and AIM and TWI. The intermediate state (powder) is dealt with by CEI, TLS and ZOZ. APR represents the transformation of the processed material in a functional part. 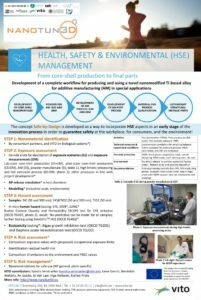 The life cycle of the material to be developed is also fully covered by the partners: nanoparticle modification (LAU and UPV), powder integration, consolidation and production (TLS, ZOZ and CEI), AM process (AIM, TWI), postprocessing (APR), and safety management (VITO). • TRL5 (validation in relevant environment): LAU, TLS, ZOZ, APR, as well as some tasks from CEI, AIM, TWI and VITO. Exploitation oriented: Technology, knowledge, technical servicing and production can be directly exploited by the partners either internally or as future market opportunities.